Once you arrive in Japan, at the immigration your passport will be stamped with the mention Landing Permission. 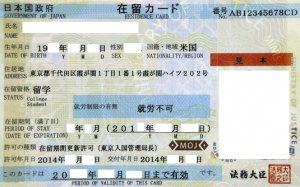 A Residence card will then be issued – that is mandatory for all foreigners planning to remain in Japan for more than 3 months. 1) Via Narita, Haneda, Chubu or Kansai Airports: you must go to the local municipal office of your address within 14 days and need to resister the card. 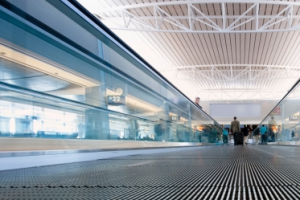 2) Via any airport other than Narita, Haneda, Chubu and Kansai Airports: at the immigration, near the Landing Permission stamp on your passport another stamp indicates the later delivery of a residence card. After the notification of the address, the residence card will be sent to the notified address by mail. Important: you must go to your local municipal office to register your Residence card. Make sure to know your address as it will have to be written on the card. The Residence card must be carried at all times. This is your Japanese ID, which can be asked to be shown anytime by any law enforcement officer. Make a copy of it and keep the copy safely at home, separate from the original. If you happen to lose the latter, a new one will be re-issued faster if you own a copy. You may have arranged transportation with us prior to your arrival, in which case the driver will be waiting for you as convened. It is then time to look for housing, visit your new school and enroll!